There is almost nothing more nerve wracking like the new school year being right around the corner. And with every fall semester come the freshman, beginning their new lives for the next 4 years. Looking back when I was a freshman at Biola University in 2012, I have had a number of thoughts on what I would have re-done, avoided, or done better during my first year. As I come up on my senior year, I decided to write this blogpost for all of those who are entering college for the first time this fall semester. Whether you are entering into a public or private, secular or Christian school, I hope that this post will help give you some thoughts (Note: While this blogpost is aimed more at Christians students and Christian Universities, some of these pieces of advice are for everyone). This honestly may come as a shocker to some, but there are large number of students at Christian Universities who are not Christians, whatever the reason may be. For some, it may be because their parents forced them to go to a Christian college. For others, it could be that they are struggling in their faith due to past experiences or the questioning of their beliefs. Before entering college, my parents made it very clear to me that not everyone was a believer and they were right. I came across students who I knew were not believers and that were putting a mask to blend in with the rest of the student body. But do not see this as something to get angry about because you honestly do not know their reasons or their life story. Rather than ignoring or being a mere acquaintance, befriend them and get to know who they are and why they believe what they believe. You never know what will come out of it, maybe you’ll change their life. And if somehow you do not, then hopefully you’ve made a great friend in the process. 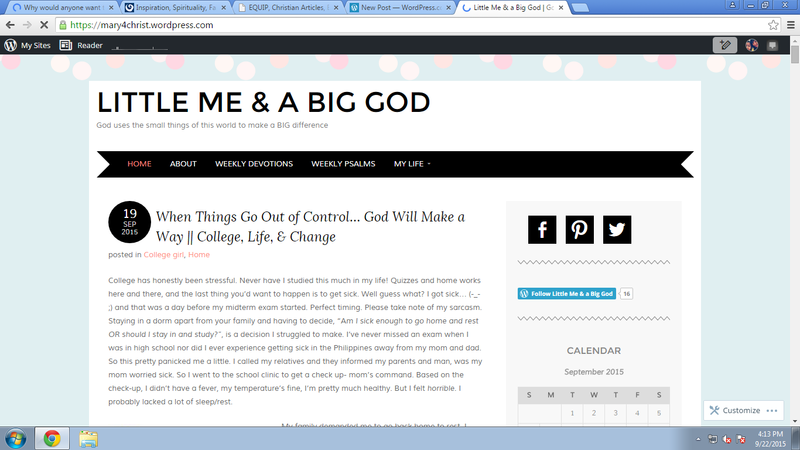 As I said previously, this blogpost is not just for Christians. Unless you are solely set on what it is you want to major in, really consider deeply what field you want to step into. I walked into Biola as a journalism major, having my whole life planned out, all the way to graduate school and beyond and what happened? God tore my plan apart, and for good reason. Now I am a Communication Studies Major, emphasizing in Rhetoric & Interpersonal. If I would have known how much I was gifted in the area of communication back then, college life would have been a different story. Whether you are undeclared or testing the waters of a department, take a good amount of time thinking about what you really enjoy doing, what it is you want to do with your life, and how you could see yourself there. You might change your mind in the future as I did. Better to graduate late with a degree you love than to graduate with a degree you regret. 3. Not everyone in your Student Orientation Group is your friend. Student Orientation weeks can honestly be a hit or miss for students depending on the people in their group, who their orientation leader is, and who they are as a person. Do not get the idea that everyone in your group or everyone you come to meet is your friend. I connected very well with some of the people I was with and within the next week after orientation, we went our separate ways hardly ever talked again. It may sound sad or negative, but at least you will come to know who your real friends are. I did not have any close friends until second semester, but it was worth the wait. I am not saying do not try and make friends, but do not expect a friendship out of everyone that you come into contact with. I have heard this every beginning semester from the school president and speakers during chapel and I will repeat what they said, chapel and your biblical courses are NOT your church.Yes, there is spirituality and growing involved in both these areas,but don’t let college itself be your only way to connect with God. As you begin to make friends, try and find a local church to get involved with and build connections and relationships. It will benefit you, both socially and spiritually, more than you think. And do not try and go to a college where you know most of your friends will be at. Challenge yourself and branch out to the community around you. This was one of the most difficult things that I had to deal with when entering college. During high school, you had a strict schedule of classes, lunch breaks, and when certain assignments were due. With college, each professors varies in regards to assignments and how long/how many times you meet a week. Especially when it comes to that one class you have once a week, getting lazy in your work is a huge temptation. Sure, take breaks when you can. Go hang out with friends, take a weekend trip away from college, but do not lose focus on your work. Remember, your money (or your parent’s) is being put into those classes, so make the most of it. You will be very surprised when it comes to trying new things, big or small. As I previously said, get out of the college bubble and go explore the cities and sites around you. Because I am a commuter student, I always enjoy taking Biola friends to new places they have never been, whether it is downtown LA, the comic book store, Disneyland, and even my house (my mom is really gifted in hospitality). Who knows, that new hobby you enjoy doing may become a new inspiration as to what you could do with your life. I get it, you are meeting guys/girls that are truly amazing. They are attractive, great in personality, and actually have life goals they are pursuing. Now, it is not a bad thing to develop feelings for someone, you are human. But I will greatly encourage you to resist pursuing them and try to be “more than friends.” This one is more of a personal opinion due to the fact that relationships vary for everyone. Do not spend your first year looking for “the one” but also, keep your options open with the people you come in contact and make friends with. Be friends first, build up your relationships and focus on school as well as having fun. Wait until at least the second semester or second school year to begin thinking about this but always keep your options open. It is a difficult balance I know, but hey, you never know when you will meet that person. Maybe even during the first semester, you might. Around this time is when students get their first debit and credit card and it can get pretty tempting to spend throughout the week, especially on food and coffee. It is much easier to swipe your card than to pay in cold, hard cash. My advice, set up a financial plan with your parents or your friend who is good with money and plan out how much you spend and what to save up for. Before senior year, my spending was off the charts. Now that I set up a payment plan with my mom, I have a reason to not overspend unless an emergency. If I had done this in my freshman year, life would have been less stressful. I think we can all agree that no one wants to go to summer school. Regardless of how you feel about it though, you may be thanking yourself in future when you realize how many credits you knocked out in a short period of time and how much money you saved by attending a community college. Get your PE classes complete in a few weeks or that general ed class that just isn’t worth the thousands of dollars at your university. You would be very surprised of how much you can accomplish by studying abroad, both academically for fun. I cannot honestly say that I have had experience in this but a number of my friends have and greatly encourage it for everyone. It is not everyday you get to study what you love in DC Capitol, Europe, or Japan. Think of all the site seeing you will be able to accomplish and the memories you will make. Sure, it is a bit more expensive but it is definitely worth it. Though it sounds cliche, it is also very truthful. “Trust in the LORD with all your heart and lean not on your own understanding. In all your ways, acknowledge Him and He will direct your path.” – Proverbs 3:5-6. Continue to follow the Lord during your time in college. Life will get stressful, friends will be lost, breakups will happen, finances will be a burden, and existential crisis’ may occur. 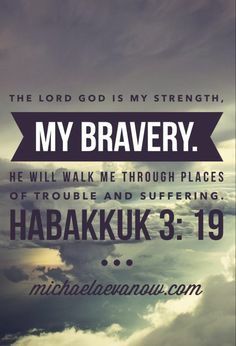 That is all more the reason to be close to God and to be strong in Him. I say this due to my experience: When your spiritual life is not strong, other things in life began to fall apart. Grades drop rapidly, you begin to hate your job, you distance yourself from others, your spending goes out of control, and much more. When you are spiritually strong, you have more of a drive and a focus in life. I am not saying that everything will go your way when you trust in God, but when the life gets rough or something unexpected happens, you will be prepared and ready for it. When times get hard, pray and praise God and when times get easy, pray and praise God. And so with that, young freshmen, I hope and pray that you have a great college experience and that you trust in the Lord in where ever he guides you. Think there is anything I left out or have any questions regarding my 10 reasons? Leave a comment below and I will get back to you as soon as I can. Oh, one last piece of advice: Coffee is your best friend during those last minute papers you decide to put off. Just saying. College & Updates on Life! Hey! I know its been a long time I haven’t posted anything and I deeply apologize. Life has been quite busy and quick and, in other words, dramatic and crazy. But God has definitely been good in my life. And by the way, I’m in college now! I enrolled at CEU, Manila taking Pre-Dentistry as my pre-med to become a proper dental student. 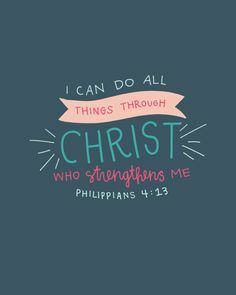 So yeah, there are lots of ongoing changes in my life right now and surprisingly… I’ve been doing well, which makes me even more confident of the Bible verse, Philippines 4:13 “I can do all things THROUGH CHRIST who strengthens me.” and He very well did! At the age of 15, being pampered and very, let me stress it again with bold and italic letters, very dependent on my parents, going back to my hometown to study and (hopefully) survive without their presence is very daunting to imagine. I mean, they’re only going to stay here for 1 month to guide me through, but then for the rest of the years (6 or more), I’ll be on my own. Then again, I’m not really on my own because, believe it or not, God had EVERYTHING planned out. From the flight home to my schooling and studies- everything was so perfect, even if we haven’t seen it laid out in front of our eyes, everything just comes to place right in the very moment. God provided for everything! Believe me. Okay, so I haven’t told you this story (because I apparently haven’t updated you guys about anything- sorry about that), but I also enrolled to study in UST to take Nursing, which was a blurry choice of course for me to take- well so is dentistry- ANYWAY (going out of topic), I passed the exam ~ with flying colors! Haha kidding aside, I passed the exam but failed the interview. Which by the way, was held at Skype at Feb 14, 6am which was on Valentines day- isn’t that cool for my very first interview? I wasn’t so sad about not passing, and I trusted God that He had a better plan- but at that time, that was the ONLY school I enrolled in and basically, it would be considered late to enroll into any other school for that matter. Long story short, I am now officially an Escolarian (what they call their students here at Centro Escolar University) and I am proud to be one! I stay in a dormitory with my 3 roommates, one of which includes my best friend, Shayne (who’s been my bud for 3 years). I can say that the dorm and the school is very secure and well managed. #blessed! And believe it or not but, college is fun and exciting… I’ve made new friends, this and that. AND I didn’t experience any cultural shock or any BIG changes, though externally there are quite many big changes in my life- but no doubt, my God has kept me stable. There are times when I feel out of place (or what we call, OP here in the Philippines), because most of the students are older than me and have already experienced drinking, smoking, and partying. But I’m totally fine with that- with all the things that the Lord has provided for me, I’m pretty sure that He will provide true friends as well 🙂 Another thing I’d like to address, is my need for familiarity. Though I didn’t experience any culture shock, the need for something or someone familiar constantly– how do you say this– it feels ouch and sad. Yeah, that’s how It feels. I just miss my friends, all my church-mates, my sibs, classmates, etc. I just miss them all. I miss Grayham as well (my rabbit), and the smell of the beach and the fresh air. No offense Philippines, but the air, if you haven’t noticed, smells polluted. Don’t get me wrong, I LOVE the Philippines, especially the people- and I do somehow prefer it over Dubai (don’t be too shocked), but it isn’t exactly the cleanest and safest country out there. And many would agree. To put it out more kindly, its a progressing country. I haven’t found a church near the dorm yet, but I do attend a Christian church in Pacita which is probably an hour and a half away from the school. I don’t mind, as long as I get to attend the service. You have NO idea how important it is to have friends who will help you and guide you spiritually in your life. The fellowships we have at church is like no other get-togethers. They’re the ones who will encourage you and strengthen you in your journey. With this in mind, I started searching for small community churches near Mendiola while I was still abroad. I’m left with none at the moment. But then again, the Lord will provide. Before you read this, take a moment. Make a list of 5 things (simple things) you are grateful for.